Home » Uncategorized » A Short but Merry Life! A Short but Merry Life! 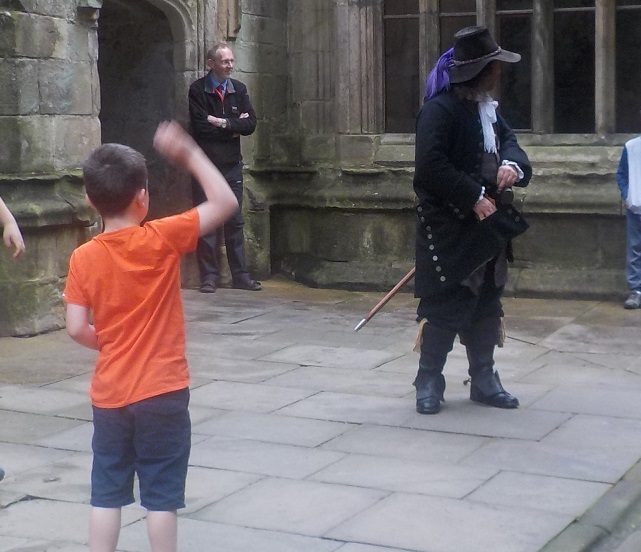 Ten days ago the infamous highway robber John ‘Swift Nicks’ Nevison once again found himself hiding from the hue and cry at Skipton castle. Luckily, he did not want for company, as the steward (a drinking friend of his) allowed a great number of folk in the visit the castle, all of whom he believed could be trusted with keeping Nevison’s presence secret until his getaway after dark. … and the fact that the steward refused to give him any more (saying if he was to hide a highwayman for the day then he wanted that highwayman sober throughout for his own good) Nevison wondered if the lads might make good cutpurses or pickpockets. They were certainly too short to make much of an impression as ‘gentlemen of the road’ (he never liked the term highway robber), but if they were nimble fingered and fleet of foot might yet profit from the noble art of the nip and foist. By the use of some bells and string, upon which a purse could be hung, he encouraged the little lads to try their best to remove the prize without the slightest of tinkling sounds. When that proved impossible, he decided to show them how distraction might be employed instead. Clearing an area for the game, and taking the role of the coney himself, one boy became the stall and another the coney-catcher. 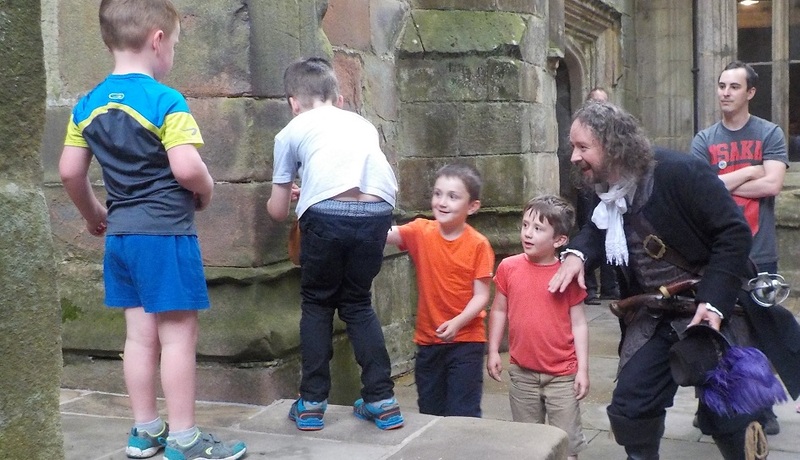 Soon umpteen children in the castle yard were trying their luck at plucking a purse from Nevison’s coat pocket without him noticing! 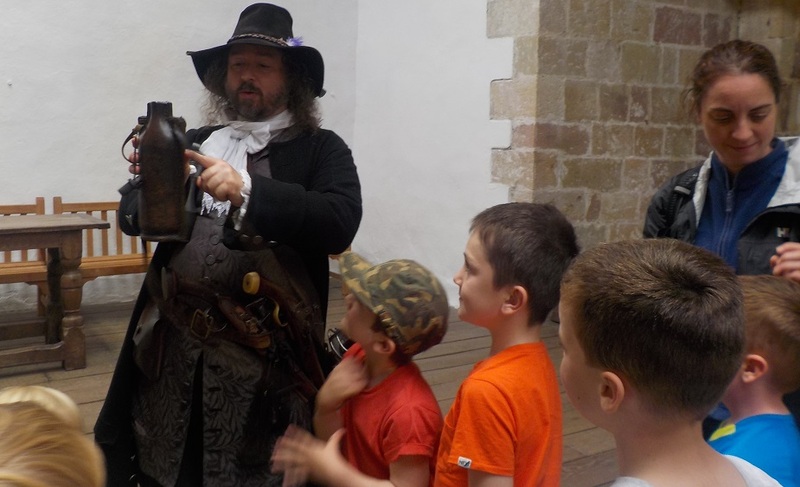 This coming weekend a far more respectable character will inhabit the castle, no less a personage than Colonel Sir John Mallory, governor of its royalist garrison. His troubles make Nevison’s concerns seem trivial, what with the lives of everyone in the castle depending on his decisions! In the meantime, if you like the idea of a highwayman visiting your school, then please click on John Nevison to find out more. Note: It is very useful when one’s own boys and some old friends come to visit on one of my days, as it means that not only is there someone to take photographs, but I can also use those photographs afterwards. Thanks Ruth, James, Thomas, Daniel, Duncan, Brian and Jackie!